Ever wondered about what it would be like to rest your head on a bed of clouds? The silky smooth feel of light fluffiness that envelopes your head in a soft tender embrace? While the idea may seem out of this world, but with the right accessories and bed linen it is not entire unachievable! To be honest, an investment in pillow cases is an investment in a good night’s sleep and this would surely give your best luxury pillows elegance.! And here’s what you need to keep in mind when looking for the most luxurious of pillows that are wrapped in a high quality fabric which has been woven to perfection and has a higher thread count! Makes your best memory foam pillows even better. Bed linen shopping is an art itself. You need to look at many different factors when choosing the right covers to match your preferences. But with so many options available in the market, it can often get confusing and become an unnerving and overwhelming experience. However, here are some of the essential factors broken down into comprehensible components for the most passionate of buyers! There is no best size when it comes to shopping for pillow cases. It all depends on personal preference and need. However, make sure the pillow inserts match the size of your bed. For instance, on a standard twin sized bed of 38 inches, you can easily place two standard pillows of 26 or 24 inches. Once the dynamics of the pillow insert are figured out, buying pillow cases is not very difficult. However, not every pillow cases would be available in every size. Bu with the growing market, you can even go for custom made pillow cases today! Pillow case sizes are all about elaborate aesthetics; get them right and all the other pieces automatically fall into place. Every piece of bed linen available in the market will have a set thread count mentioned on its packaging. While these are only numbers at first glance, but in reality each of these specific thread counts holds a lot of meaning and thought. Thread count basically refers to the number threads woven together within every square inch of the fabric available. So basically the higher the thread count the softer the material will end up being because of the intricate weaving. When it comes to pillow case shopping, one should always go for a pillow case that is made up of at least 300 thread counts. It is generally said that anything above 200-300 is soft and comfortable. But with pillow cases, one can never be too sure because it all depends on personal preference. However, to the best of our knowledge, one should always go for a higher thread count because it leads to the best sleep experience ever! Pulling on and pulling off the pillow case should never be a wrestling match of sorts. Not only will the excessive tugging destroy the cover, but also irritate and become increasingly annoying. The opening and closing should incorporate strong tools. This is because if these come loose, your insert will be spilling out the cover continuously. While all these are serious considerations to be kept in mind, you can easily choose from a number of differ closing and opening options. Zippers are usually the preferable choice these days, because they tend to hold the fastest and longest. But the traditional under flap or tuck in style works great for some users as well. The most uncomfortable option so far are the buttoning up option which is usually rated quite low. The best of the best! Egyptian cotton has been dubbed as one of the finest materials found in the world. And it is a label well suited as well, because this type of material is fit to be used by kings and queens! So if you are feeling regal and need to pamper yourself, then definitely opt for Egyptian cotton because it will never let you down! It’s soft but strong, cool and airy, lightweight but stands firm! Moreover, the material gets softer with every wash! Sateen is actually 100% cotton itself however they are just woven a like satin material is which is why this material will feel soft and comfortable like cotton but with a lustrous smooth feel to it! These are breathable like Egyptian cotton and can be utilized all year round! Polyester is made up of microfiber material which is woven finely and has a very soft feel to it. 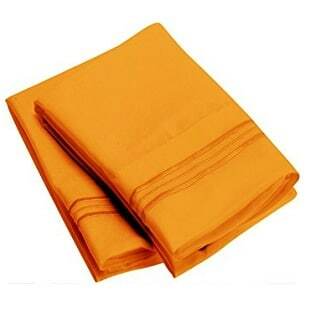 They are also very sturdy and long lasting but not as breathable as cotton sheets are. But since they don’t pile up after washing nor crumble or wrinkle, they are considered to be one of the least maintenance requiring material in the industry. Moreover, the come in super affordable prices which is a plus point automatically! No matter how practical you get when going for pillow cases, the best ones don’t just feel great but sit well in your preferable environment of choice! Therefore, looking for pillow cases that are aesthetically pleasing and go with your sheets and the rest of the décor is extremely importance as well. Whether they have gotten fancy buttons, sequins or any other decorative embellishments of sorts, you should always make sure they go with the rest of the bed linen. Such added aesthetically pleasing factors only add to the overall allure of the pillow cases and give off a very decorative and attractive look. Moreover, the best pillow cases are ones that come with strong dyes that don’t fade over time! 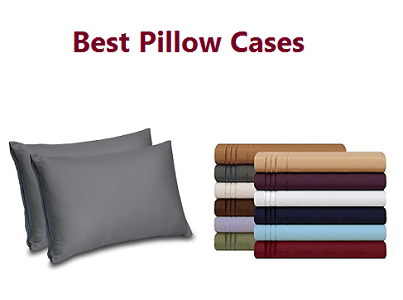 While looking at specific factors can become tedious, here are a list of the best of the best pillow cases you will find in the market, that have been specifically handpicked to please your needs and incorporate the top factors to look for when shopping for the best pillow cases! If you value your night’s sleep then you definitely ought to invest in a good pair of pillow cases! With the HC Collection 1500 Thread Count Egyptian Quality 2pc Set of Pillow Cases you get a whole package; comfort, softness, easy maintenance, and best of all; a silky smooth airy feel that doesn’t allow moisture to get trapped in the fabric. The highly durable microfiber fabric feels like 1500 thread count Egyptian cotton but settles and fits perfectly on the bed without slipping or sliding off! The airy feel of the material lets moisture dry off fast hence leaving less room for any mold or dust mites settling in! Perfect combination with your best down pillows. Rule of thumb when buying sheets and pillow cases: always look for a thread count which is above 200. Why? Well, the higher the threads count the softer the material is. The HC Collection 1500 Thread Count Egyptian Quality 2pc Set of Pillow Cases are made from high quality microfiber material which is double brushed from both sides. It gives a very Egyptian cotton feel which is cool and airy! Whether you’re a working mom or a student living in the dorms, you don’t have to worry about dry cleaning, ironing or even bleaching these cases! The HC Collection 1500 Thread Count Egyptian Quality 2pc Set of Pillow Cases only require a cold machine wash and their wrinkle free properties ensure that the cases always look prim and perfect! One of the features of shabby pillow cases is that they never settle adequately over the pillow insert and may look disheveled and unkempt. 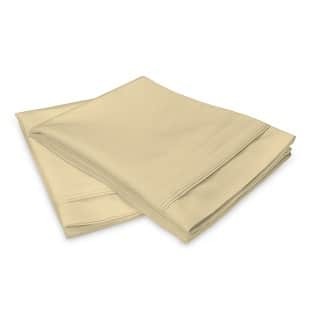 However, the high quality micro fiber cloth of the HC Collection 1500 Thread Count Egyptian Quality 2pc set of Pillow Cases has the capacity to adequately envelop around the pillow insert and stay put throughout the whole night! There are also envelope closures ends that fold inwards and hide the pillow insert. A full 30 day refund policy by the manufacturers ensures quality. Very soft and durable material that feels airy and light like Egyptian cotton bed linen! Wrinkle free even after tumble drying! Some complaints regarding the hems coming loose after machine washing were recorded. The fabric may feel too thin and flimsy to some and hence become misshaped after washing. An all year round investment comes with the best returns! 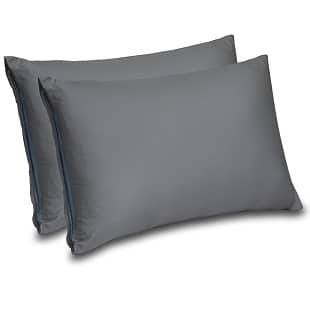 The Ultra Soft & Exquisitely Smooth Genuine 100% Plush Cotton 800 TC Pillowcase Set by Pure Linens can be utilized all year round because of its balanced thread count at 800. It fits perfectly on standard sized pillow inserts and doesn’t gather nor crumble which could be understood as being dense however; the cases feel extremely light and airy, silky and soft and don’t hold in any excessive moisture or warmth. When it comes to bed linen, one must always make sure to check the thread count and the fabric they utilize. Anything above 200 thread count is always considered luxuriously soft and comfortable. The Ultra Soft & Exquisitely Smooth Genuine 100% Plush Cotton 800 TC Pillowcase Set by Pure Linens is made from high quality Plush cotton which utilizes longer fibers and hence when spun together in a yarn tend to give a very indulgent feel in the end product. Moreover, its double high end finishing is adds to its overall comfortable feel. One of the most common complaints by customers is regarding the hemline. A lightly stitched hemline is unable to hold the fabric in place and 9 out of 10 times break loses after multiple washes. However, the Ultra Soft & Exquisitely Smooth Genuine 100% Plush Cotton 800 TC Pillowcase Set by Pure Linens comes with a solid 4 inch hemline which ends with a piping border which not only adds to the overall sturdy stitching but also looks pretty and very stylish. The Sateen plush cotton material is one of the best in the industry! At 800 counts, the fabric is not too thin and not too thick either. Hence it can be used round the year throughout the seasons. 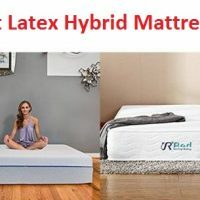 While the cases tend to get softer by each passing day, users have commented about how the sheets don’t hold in any moisture and are airy but at the same time settle well on the mattress and don’t slip. 800 thread count that doesn’t feel too heavy nor too light but soft and silky nonetheless. Stay solid on any mattress surface. The 4 inch hemline is strong and sturdy. May wrinkle a little based on users experience. May feel itchy to some users. Ever wondered why we sleep blissfully in hotel bedrooms? Well, the secret lies in the bed linen of course! The cool feel of the light fluffy pillows enwrapped in 100% cotton is sure to make the crankiest baby calm within seconds! If you’re looking for such a luxurious experience then going for the Royal’s Solid White 600-Thread-Count 2pc / Pair Standard / Queen Size 20″ x 30″ Pillowcases will be a brilliant idea! The high thread count due to the long staple combed cotton gives off the lavish and lush feel of a hotel bedroom! You will not regret any minute of your time with these cases because they are guaranteed to provide you with the luxury and comfort you well deserve! At 600 thread count, the Royal’s Solid White 600-Thread-Count 2pc / Pair Standard / Queen Size 20″ x 30″ Pillowcases are light and airy like the froth of a freshly brewed coffee cup! The 100% cotton fiber made from long staple combed cotton is a one of a kind that ensures comfort, value and resilience! The 600 thread count ensures slow wearing but extra softness with passing time. Users get a sleeping experience that matches hotel beds! The pillow cases come in standard sizes with a strong and sturdy 4 inch thick hemline! Having a sturdy hemline ensures that the pillowcases don’t come apart even after multiple washes and tumbling drying sprees. The Royal’s Solid White 600-Thread-Count 2pc / Pair Standard / Queen Size 20″ x 30″ Pillowcases have gotten some great reviews especially based on their deep and thick hemline that ensures longevity without disfiguring the pillowcases. Compared to other pillow case sets, the Royal’s Solid White 600-Thread-Count 2pc / Pair Standard / Queen Size 20″ x 30″ Pillowcases is very well priced especially for its quality. Moreover, you can easily wash them in the washing machine with cold water and tumble dry them on low. This means you don’t have to spend extra time and money on maintenance. This is especially great for college students or working people that don’t have the spare time nor cash to spend on dry cleaning and subsequent ironing after washing. 600 thread count makes the pillow cases very soft and airy which further ensure that any bacteria, mold or dust mite don’t take up residence. Don’t require much maintenance and can be easily washed in a washing machine. Don’t need any bleaching either and the manufacturer points this out on the packaging specifically. Will not fit any therapeutic pillow inserts. May require spending extra time and money due to strict laundry instructions. Looking to spruce up your bed linen set? Or thinking of throwing in some extra pillows? Well, in any case, having a pair of solid white pillow cases will never do you any harm. 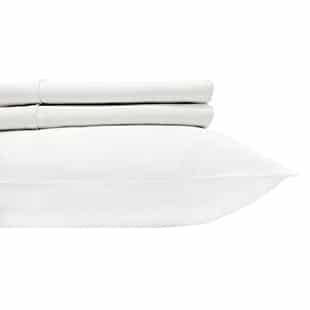 Whether you have an overnight guest coming in, or need a quick change of case due to some accident; either ways, the Solid White Standard Size Pillowcases will never let you down! Moreover, the best part about having uniform solid white cases is that you don’t have to worry about changing sheets and cases based on specific matching and piecing together. The Solid White Standard Size Pillowcases come at 300 thread count which is a decent level compared to other plain pillow cases sets in the market. Moreover, these are made from 100% quality long staple cotton which is not only known for its softness and comfort but also durability and longevity. The pillowcases are known to get softer with passing time and wear slowly as well which means an investment in these will not go wrong! Also, the sateen weave makes sure the pillow cases add extra softness and smoothness. One of the best parts about getting a solid white pillow case set is that they can match with any background. Take a hotel room’s décor for instance; don’t the white bed linens look supple and lush? Moreover, you can also mix and match these pillowcases with any other contrasting colored sheets, duvet covers and even some throw pillows! 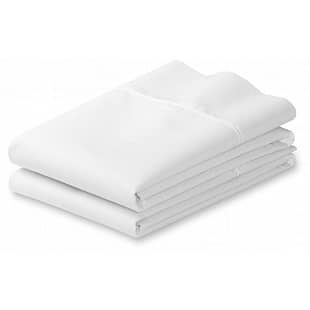 The Solid White Standard Size Pillowcases only require the occasional cold water machine washing with low tumble drying. You can also throw them in the washer with similar colored clothing. Moreover, with every wash, the cloth becomes softer than before; hence it is always recommended that you wash the pillowcases before putting them on for the first time. Easy machine washing means you don’t have to spend any extra money on dry-cleaning trips either. Can go well with any décor and can be coupled with contrasting colored bed linen as well. The satin weave of the pillow cases adds extra softness, smoothness and durability. The pillow cases are very airy and light which significantly reduced levels of heat and moisture retention. Don’t require the use of any added fabric softeners. May need to spend extra time and effort with the strict laundry instructions. May feel extremely light and flimsy to some. Sleep is sacred and so when it comes to bed linen, people always prefer getting the best of the best! If you are looking for a silky smooth yet comfortable and peaceful sleep, you definitely ought to try the Harmony Linens Pillowcase Set! Its soft, its smooth, its wrinkle free and also hypoallergenic in nature! So if you’re already dealing with allergies in other sphere of your life, the Harmony Linens Pillowcase Set will at least save you the trouble and help you sleep like a baby all night! Moreover, it’s very breathable which means no dust mites and mold because the material doesn’t retain moisture! The Harmony Linens Pillowcase Set is made up of 100% polyester fabric which is great news for all those looking for high comfort and long life! The manufactures of the Harmony Linens Pillowcase Set also give all their users an unconditional lifetime guarantee because these pillow cases are built to last! Moreover, polyester fabric is known for its softness which stays even after numerous washes! Smooth and silky, strong and sturdy are the perfect words that can be used to describe the Harmony Linens Pillowcase Set! This pillow set is made up of 1800 double brushed microfiber which is known for its extremely finely woven fibers that provide the ultimate thin but comfortable feel to bed linen! One of the best parts about using double brushed microfiber material is that it has the ability to hold dyes strong and very well which means no matter what color you opt for, your sheets will stand out nonetheless! Laundry is the one house chore that no one can get rid of however; having to do user friendly laundry is a big relief indeed! The polyester fabric can be easily machine washed in cold water and put for tumble drying on low as the thin fabric tends to dry off easily! This is a great plus point for students and working individuals who are always running against time with many chores already! Easy machine washing and drying. Won’t lose its softness and smoothness even after multiple washes. Minimal wrinkles and the covers won’t lose their shape after multiple washes either. Material is too thin and may slip off if the mattress surface is too silky smooth as well. Polyester material is not as breathable as cotton. Sleep like royalty with this high quality 1000 Thread Count 2-Piece Egyptian cotton Pillowcase Set by Exceptional-Sheets! Egyptian has been and always be the best of the best materials to go for in the cotton section when buying bed linen. And it’s with good reason as well. 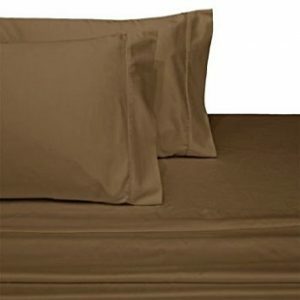 These sheets look and feel extremely comfortable and very luxurious! Moreover the manufacturers have added proper hem lines and pleats that add to its already elegant look. They are crisp but soft, smooth but hold their place on the mattress! When it comes to employing the highest quality fabric in making bed linen, Egyptian cotton beats all! The 1000 Thread Count 2-Piece Egyptian cotton Pillowcase Set by Exceptional-Sheets doesn’t pill nor produce significant amounts of lint hence making them a great option for people suffering from different allergies! Egyptian cotton is naturally hypoallergenic and very breathable which means you don’t have to worry about any dust mites or mold taking residence in your pillow cases! Moreover, the material is so luxurious and elegant that it gives off a very regal vibe and looks very chic and elegant in a number of settings! Any thread count above 200 and you are good to go, but if coupled with Egyptian cotton then it’s a sure keeper! The 1000 Thread Count 2-Piece Egyptian cotton Pillowcase Set by Exceptional-Sheets are made from long fibers that are easily spun into finer yarn. The higher the thread count, the softer the material tends to be and to your benefit the 1000 Thread Count 2-Piece Egyptian cotton Pillowcase Set by Exceptional-Sheets are made up of 1000 thread count which is not only soft but very lightweight and has a great draping capacity! Egyptian cotton bed linen is very low maintenance! They are easy to wash and don’t require any added hassles that come with other materials. You can easily wash them with cold water in a washing machine on a gentle cycle and tumble dry on low later on. If you manage to follow the directions properly, the pillow cases tend to hold on to their sheen for longer! A good night’s sleep and an investment that doesn’t go wary are two main features of the Cotton Sateen Zippered Pillow Cases. The 200 thread count makes sure the cases are very soft and smooth while the double hemmed stitching along with the high quality zipper makes sure the overall construction of the pillow cases is strong and long lasting. Moreover, unlike other pillow cases, the pillow insert in these stays put because of the strong zipper. They are light, airy and hypoallergenic in nature hence making a great option for people suffering from allergies. When it comes to 100% high quality cotton fabric used in bed linen, there is one thing for sure; these are very lustrous and soft! The Cotton Sateen Zippered Pillow Cases are naturally hypoallergenic and repel allergens! These are a great investment for people who are suffering from allergies. Since these are very breathable, there is little to no heat and moisture retention which means it’s very unlikely that dust mites or mold will get formed and irate sleepers! Also, with 100% cotton there is very less chance of the material getting disfigured after multiple washes. One of the best things about purchasing 100% cotton sateen bed linen is that it’s very durable and extremely sturdy in nature! Moreover, the Cotton Sateen Zippered Pillow Cases come with a high quality extremely durable zip to hold in the pillow insert and stop it from tumbling out. The manufacturers have also made sure to add double hemmed stitching that helps hold the pillow cases in place and the material doesn’t come apart even after multiple washes. The Cotton Sateen Zippered Pillow Cases are made from intricately woven long fiber cotton threads that add to their overall softness and durability. At 300 thread count these are one of the most comfortable and sturdy pillow cases you will find in the market. Moreover, with every wash the pillow cases tend to become softer than before. At 300 thread count, these pillow cases are very light and airy hence don’t retain moisture and heat which would otherwise attract dust mites and mold. Very easy maintenance as can be easily washed in the washing machine. The cotton doesn’t lose its shape after multiple washes. May fee too thin to some people. At 1800 thread count, you are surely going to feel like you are sleeping on a bed of clouds! The Mellanni Luxury Pillowcase Set is made from the highest quality microfiber material that stands true to its word! It’s not just wrinkle free and fade resistant but also hypoallergenic and very lightweight which makes these cases a very good option for people who are always worried about heat and moisture retention. The higher the thread count the softer the material tends to be, and hence at 1800 thread count, the Mellanni Luxury Pillowcase Set is one of the most comfortable pillow case set you will lay your head on ever! These are luxury redefined as the silky soft feel of the pillow cases gives a very regal and lavish feel to the pillow cases. 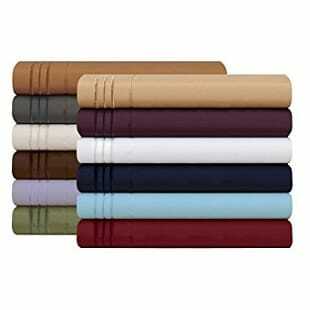 Moreover, their high thread count makes them stand apart from the crowd as these are considered some of the high quality and generally a heavy on the pockets product however; these are priced reasonably and will make great giveaways to family and loved ones! No matter how much time one has, it’s never feasible to invest in a product that will eventually rip you off with countless dry-cleaning trips and specific laundry instructions. But the Mellanni Luxury Pillowcase Set is not only fade and stain resistant but also wrinkle free even after you wash it in the washing machine. The manufacturers only ask that you wash it these cases in cold water and tumble dry them on low. Also, these are hypoallergenic and won’t attract dust mites and mold which could become irritating to the soundest sleeper even. 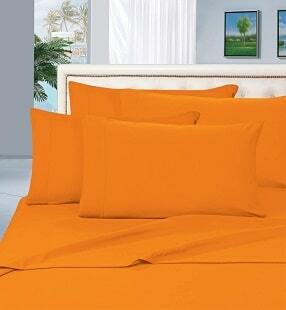 The high quality 1800 thread count material is extremely durable and long lasting. It’s weaved strongly together and even multiple washes won’t affect its overall structure and shape. Moreover, you don’t have to worry about the hems coming apart as they are very strong stitched in place. The high quality double brushed microfiber may be thin but very strong and holds in place adequately. 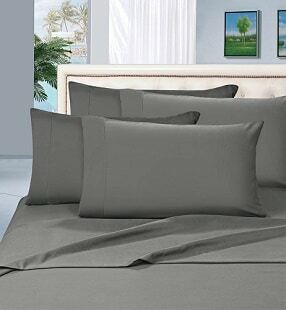 1800 thread count makes these pillow cases one of the most comfortable and soft cases in the market. Wrinkle free even after numerous washes. The color won’t fade either as the microfiber material tends to hold dye very well. Might feel thin to some people because of the high thread count. While bed sheets can be compromised on, pillow cases are the essential accessories one must never compromise on especially when it comes to comfort and quality. However with the Elegant Comfort® 1500 Thread Count Wrinkle, Fade and Stain Resistant 2-Piece Pillowcases you don’t have to worry about the quality letting you down at any time! At 1500 thread count, the microfiber material is super soft and very lustrous! it has great draping capabilities and wraps perfectly around pillow inserts without looking shaby. At 1500 thread count the Elegant Comfort® 1500 Thread Count Wrinkle, Fade and Stain Resistant 2-Piece Pillowcases are one of the most softest and lightweight cases you will ever see! The microfiber material makes sure the yarns are woven closely and finely so that the material comes out strong and durable! The high thread count makes sure the cases are airy so that there is no chance of heat or moisture retention which would otherwise lead to dust mites and mold. The microfiber material is known for holding dyes strongly hence the covers won’t even fade after multiple washes. The Elegant Comfort® 1500 Thread Count Wrinkle, Fade and Stain Resistant 2-Piece Pillowcases are made from a ventilated weave form which allows the material to be extremely airy hence hypoallergenic. Allergy sufferers now don’t have to worry about waking up congested and feeling uneasy because these pillow cases ensure a good long night’s sleep without the dust mites and beg bugs seeping in to disturb! Being stain and sweat repellant means washing these covers is super easy! All you need to do is put them in a fast cold water washing machine cycle with a tumble dry cycle on low, and you will have your covers feeling brand new in no time! Furthermore, you don’t have to worry about spending extra time or money on ironing services because these cases are 100% wrinkle free and go directly on the pillow inserts after coming out of the washer! Super soft and comfortable like sleeping on a bed of clouds. Don’t require too much hassle and time with maintenance. Don’t wrinkle, nor shrink or lose their shape after multiple washes. Some complaints regarding the fabric tearing up after only a couple of days’ worth of use. Some users also complained regarding the product wrinkling up after washing. The Elegant Comfort 1500 Thread Count Wrinkle & Fade Resistant Egyptian Quality Hypoallergenic Ultra Soft Luxurious 2-Piece Pillowcases are the perfect definition of luxury and comfort. At 1500 thread count, these covers are soft as a bed of feathers! Moreover, the microfiber material is extremely smooth and perfectly envelops around pillow inserts and holds its place evenly. The light material is very airy and doesn’t retain moisture nor heat in the form of sweat even. Any piece of bed linen is distinguishable through the material employed in its making. With the Elegant Comfort 1500 Thread Count Wrinkle & Fade Resistant Egyptian Quality Hypoallergenic Ultra Soft Luxurious 2-Piece Pillowcases, the manufacturers have made sure to employ high quality microfiber material which has been woven to perfection at 1500 thread count. The higher the thread counts the lighter and softer the material turns out to be. Because of its airy nature, these pillow cases are hypoallergenic in nature and keep allergens and dust mites from taking residence in the inserts. Honestly, no one has the time or the money to spend on ironing or dying cleaning! However with the Elegant Comfort 1500 Thread Count Wrinkle & Fade Resistant Egyptian Quality Hypoallergenic Ultra Soft Luxurious 2-Piece Pillowcases you are good to go because these covers don’t shrink nor wrinkle after multiple washes. After a cold washing cycle, just tumble dry the pillow cases on low and put them directly on the pillow inserts! The high quality microfiber material of the Elegant Comfort 1500 Thread Count Wrinkle & Fade Resistant Egyptian Quality Hypoallergenic Ultra Soft Luxurious 2-Piece Pillowcases is extremely strong and sturdy. In all essence, it’s built to last for a long time! The vibrancy of the color dye holds strong for years after multiple washes because of the microfiber cloth material. Moreover, the pillow cases don’t lose their shape after multiple washes even which is a big plus point compared to other pillow cases made of mediocre material. 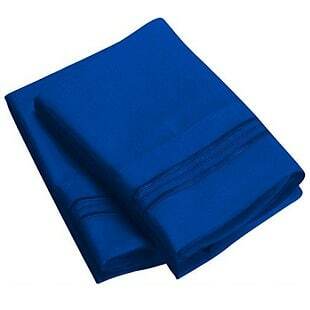 The microfiber cloth is hypoallergenic and a great option for people suffering from any kind of allergies. The material tends to hold fast on the color dye and not fade out after multiple washes. The breathable weave makes sure the pillow never gets too hot or stuffy cause of the pillow cover. Some users also complained about the covers shrinking after washing them.